A simulation of the war in Afghanistan between the Communists and the Afghan Resistance, from 1978 thought the present. This is a two player, strategic level game. The Resistance player controls Afghan Resistance and Intervention forces; the Communist Player controls Soviet and Afghan Government forces. 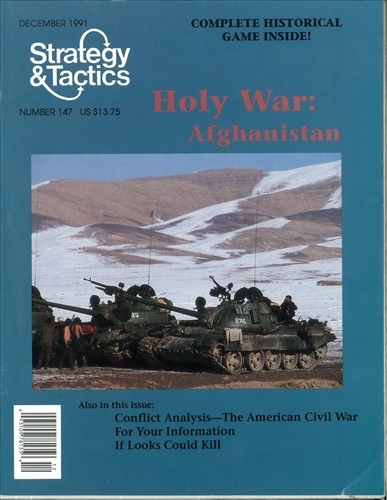 The objective of the Communist player is to maintain power in Afghanistan and develop it as a base for Soviet intervention in southwest Asia; the objective of the Resistance player is to overthrow the Communists and regain control of the country. The game simulates various aspects of the war in Afghanistan, including conventional and guerrilla warfare, politics, and foreign intervention.